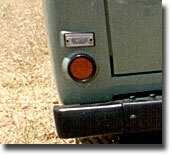 1974 and later 40 Series and ALL other models see page 148 Tail Lights for your reverse light needs. 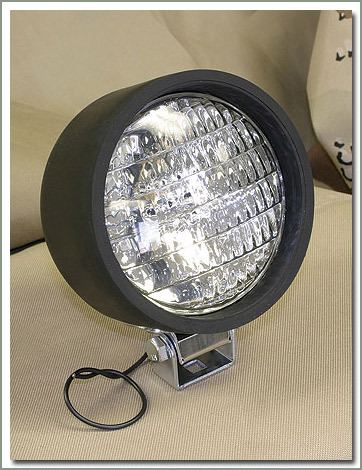 This general purpose Auxiliary Round Back Up Lamp features a vibration dampening rubber housing. The lens is 4 inches in diameter. This durable light stands 6 inches tall and is 3 inches thick overall. The mounting bracket is fully adjustable and fits a 5/16 inch hole. 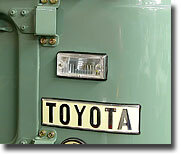 This 12 volt, 35 watt sealed beam light has a trapezoid beam pattern. This light has separate power and ground wires. Sold each.